If you can recall, you will come to know that we have already seen Hamann Victory back in 2007. 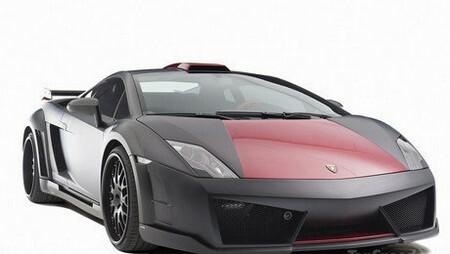 Now the tuner is going to introduce an updated version of the previous package in the form of Hamann Victory II which is based on the latest Gallardo LP560-4. The updated package involves engine upgrades, along with some exterior and interior modifications. Its matte black attire makes it look more menacing. The exterior of the Hamann Victory II features a new front apron, new side skirts, a newly designed rear wings, new front fenders, and a diffuser. It also includes a new set of 20-inch Edition Race rims with a tire combination of 9.5Jx20 inches with 235/30ZR20 tires at the front and 13Jx20 rims with 325/25ZR20 tires at the back. A 14 part carbon set is used in the interior which includes a steering wheel, door openers, and many decorative blends. It also features new Hamann sports seats with carbon backs. The Hamann Victory II is powered by V10 engine. The engine electronics are readjusted to achieve 20 HP more. The total output is 580 HP and 575 Nm of torque. The car has a top speed of 203 mph. It will be available for sale in 2011.